Factual error: Probably an in joke - the wheels of the "airliner" shown landing at LA international airport are those of a B52 bomber. They are very distinctive and look nothing like those on any airliner ever made. Factual error: In the middle of summer in southern California, water spread thinly on an outdoor ceramic surface would start evaporating immediately and would be gone in about fifteen minutes. The surrounds of the pool would be bone dry by the time Columbo arrived at the scene, nearly an hour after the murderer sprayed the water there. Factual error: An important plot point is that diamonds do not burn and can be recovered from the ashes of a cremated body. This is completely wrong - diamonds would combust freely at cremation temperatures, and since they are pure carbon they don't even leave any residue. New this month Trivia: Peter Falk's real-life wife appeared in 6 episodes, each time as a different character. New this month Trivia: Columbo's wardrobe for the show was Peter Falk's own clothes. 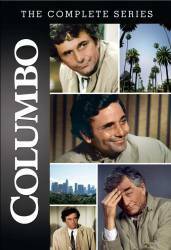 Question: Why was Columbo never promoted, given that across the whole show he solves all the murders in such a spectacular fashion? Answer: In the show, he was already a Lieutenant. A promotion would put him in the next rank up, which for the L.A.P.D. would be Captain. However, some of a Captain's duties would be overseeing other officers and ensuring they're compliant with policies, regulations, and standards. It would also most likely take him out of the field. This is something Columbo has no desire for as he rarely goes to police HQ's. Nor does he show interest in compliance and standards (for example, not going to his semi-annual evaluation at the firing range). However, he could still be assigned to a higher pay grade based on expertise, which is a form of promotion that does not include rank advancement. This would be going from Lieutenant I to Lieutenant II. I don't believe in the show it's ever started what his pay grade is. Although, in s02e01 (I believe) he mentions making $11K a year. Whether or not this was a true statement on his part, if you could find pay scale information for an LAPD Lieutenant in the 70's, it could give you an idea of his pay grade.